Please contact us with your questions or event inquiries. 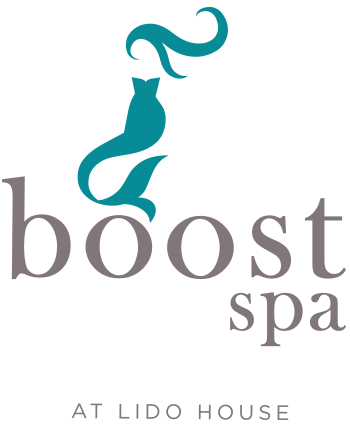 WELCOME TO BOOST SPA. FIND YOUR BLISS. Lido House’s Boost Spa is a place where natural botanicals combine with cutting-edge technology to spark vitality. Designed to optimize energy, our diverse range of spa treatments are thoughtfully crafted to enliven the body, mind and spirit. Boost Spa’s intimate setting offers a tranquil atmosphere perfect for pre-wedding pampering, unwinding after a long day of meetings or simply for your own wellness.